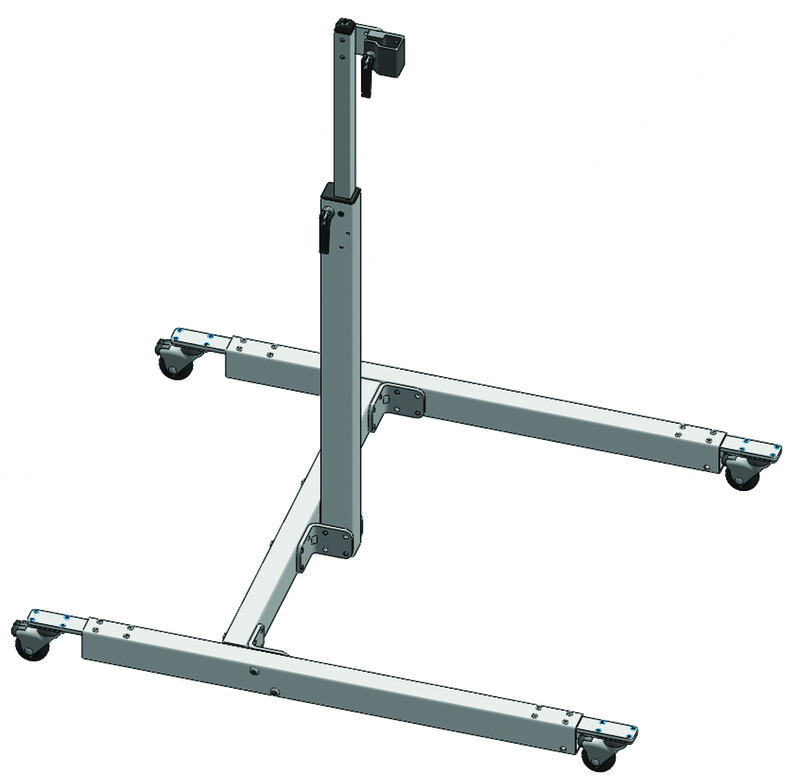 Four "Total-Lock" casters allow you to maneuver the Floor Stand more easily! "Total-Lock" casters brake the wheel and lock the swivel with one action. The four-caster Floor Stand is perfect for folks who use eye gaze devices, or for those who frequently reposition their Floor Stand. For direct-select devices, we recommend locking all four casters for best stability. Ease of maneuverability with extended reach! For folks who need access to their devices past the reach of their Mount'n Mover, and prefer the enhanced maneuverability of four swivel casters. Adjustable offset extension -Extends your mount bracket horizontally up to 16"
Allows up to 16" horizontal extension from the Floor Stand upright-rail. This works perfectly for folks who need that extra distance for bed access. Extends your mount bracket up to 16"
Compatible with any Mount'n Mover with post Two rear "Total-Lock" casters Locks the caster swivel and wheel rotation Vertical Telescoping Post Height adjustment of up to 20" (plus the length of the Mount'n Mover Post) Angle adjustment Up to ± 10°.